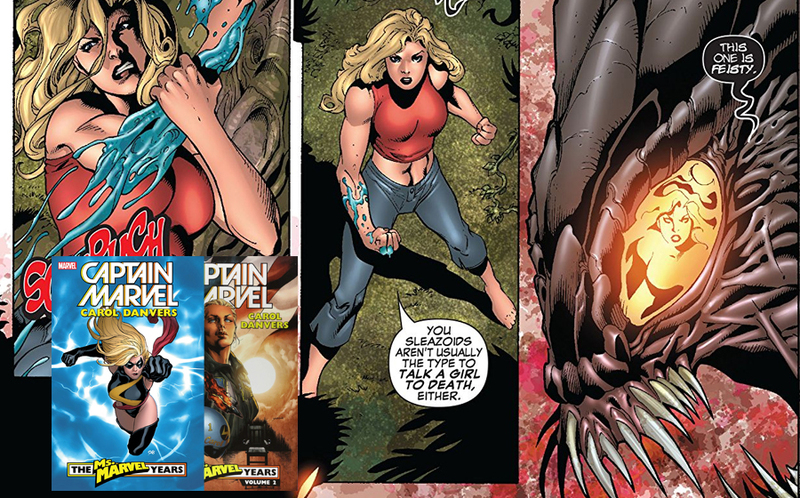 You are here: Home / Comics Guides / Best of Lists / The Best of Captain Marvel, Carol Danvers – Essential Comics Reading List! If you’re just looking for a place to begin before Captain Marvel joins the MCU, grab In Pursuit of Flight. But if you want to know how she became Earth’s Mightiest Hero, keep reading. Gerry Conway and Chris Claremont give some scripts that feel both fun and socially conscious (this comic was of significant cultural importance back in the 70s, as Marvel set out to create a super heroine for the growing feminist movement in America) while John Buscema, Sal Buscema, and John Romita do their usual stellar work on the art. This is a great time capsule and it still has a lot of that youthful energy of the time. Really, my only complaint is that is that this collection does not contain Captain Marvel 18 (1968) which is integral to Carol’s story. 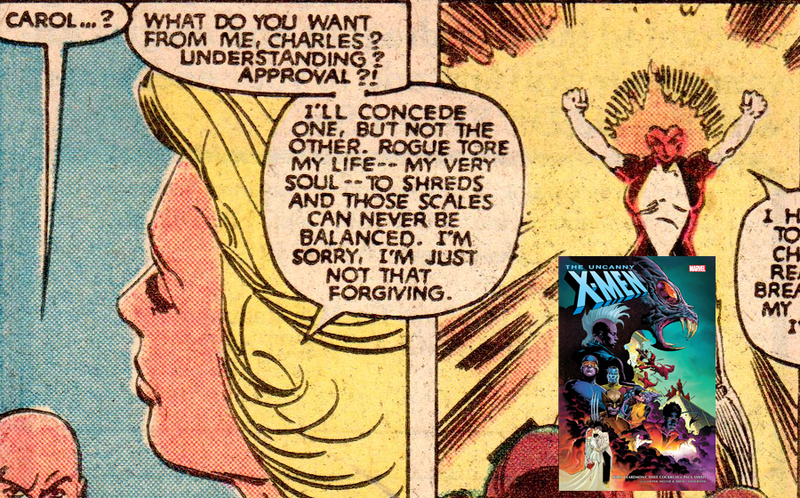 That issue shows Carol in the moments before she started the Kree Psyche-Magnitron sent her on her path to becoming Captain Marvel, and while I’m sure there are reasons for not including it, it does mean you’ll now have to hunt that single issue down. Chris Claremont had to jump back in and fix the character he helped create after Marvel had done a ton of damage to Danvers. Claremont started by tearing Ms. Marvel down to the bedrock, first by having Rogue steal her powers (semi) permanently, which caused Ms. Marvel to give up the mantle and cut ties with the US Air Force. Now, powerless and titleless, our heroine set out to prove that Carol Danvers could be every bit of the hero Ms. Marvel was. The 2000s were a hard time on heroes. Between 9/11 and the Recession, there were a lot of bad decisions being made both by publishing companies and their heroes. Creators and publishers would go from event to event trying to make sense of this new world we all found ourselves in. 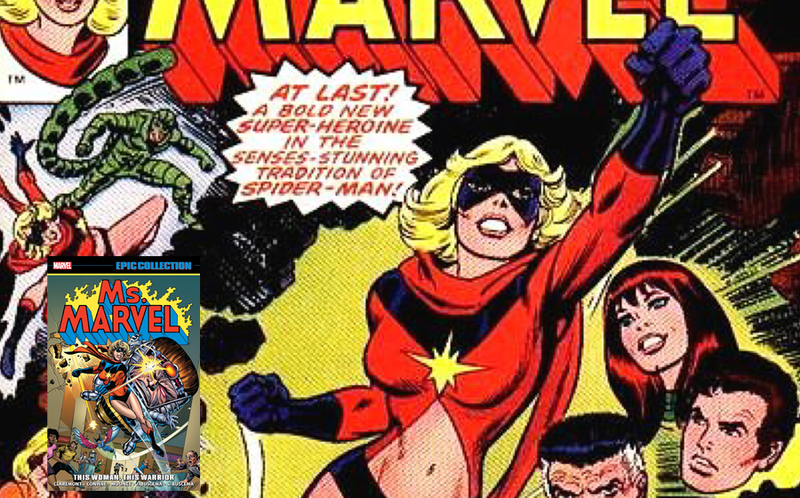 And somehow, as if by a miracle, one of those decisions lead to Ms. Marvel getting her first book in decades. 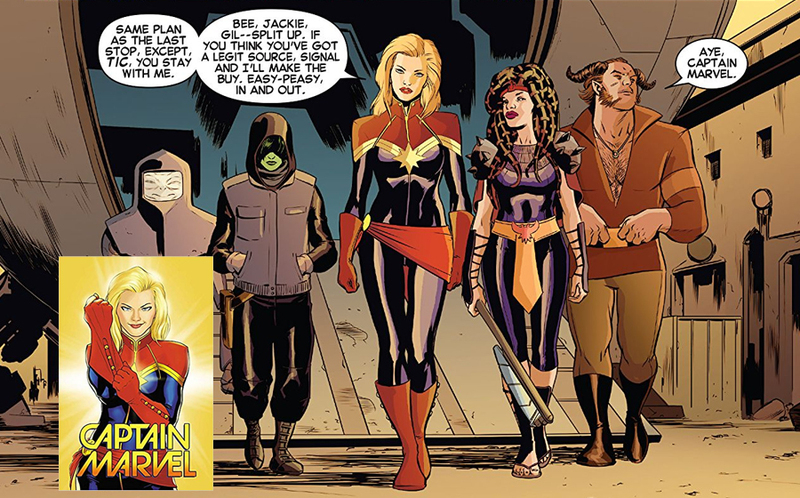 Carol Danvers was back with a new suit and her original power set for the 2006 re-launch of Ms Marvel. It’s not a perfect series, but there are some great issues. Especially 1-4 and 21-25, authored by Roberto Delatorre. This arc describes as Danvers comes across a group of Brood refugees who need her help just to survive. When seen in light of the real world War on Terror, this story takes on a new kind of poignancy. We see Danvers struggling to find her compassion and trying to balance her humanity against her role as cosmic soldier (and incredibly damaged person). This sorta sets up her character’s primary struggle for the next several series. A great jumping on point. 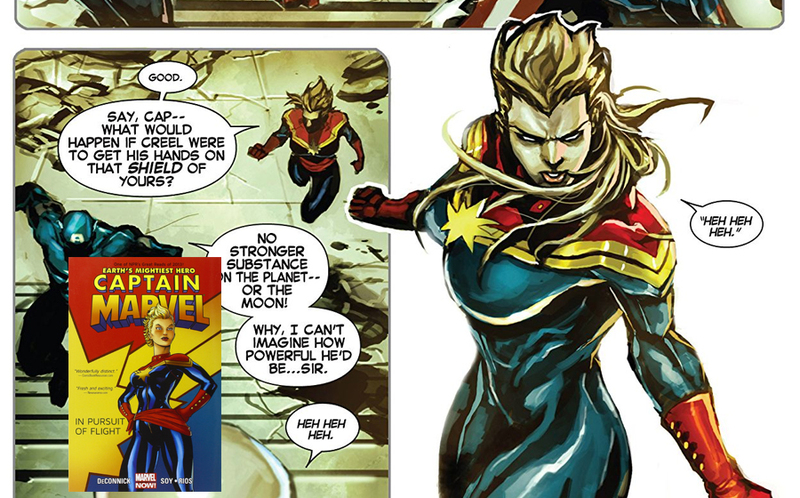 Kelly Sue Deconnick is sorta the definitive writer for “current era” Captain Marvel. She relaunched the character here and tried to zero in on only what was great about Carol Danvers while also giving room to work towards a bigger future. While wildly different books, you can see a little of the same recipe that Garth Ennis used on Punisher (identify the core character, eliminate what’s not necessary, use team-ups with established heroes to save time on explanation, and use humor to keep things from getting oppressive). Audiences are treated to some Captain America, a dinosaur fight, some time travel. It’s all pretty lighthearted on the surface, but it serves the purpose of letting Danvers take the big jump from Ms. Marvel to the first time she calls herself Captain Marvel. This is a fantastic starting point for new fans. Deconnick is back on this list with this book, which serves as an introduction to Carol Danvers not just as Captain Marvel, but as a “cosmic hero.” This book is mostly a solo adventure which has echoes of previous titles, as Captain Marvel is once again helping out some alien refugees, only this time, she’s on her own and going all over the cosmos to hunt down a much, much bigger enemy. Deconnick’s writing and pacing feels like something in between a film and an anime here, which is a great time. She’s also got new artist David Lopez on this round, who delivers a much cleaner, almost “flat” style of artwork which I really appreciated when the action on complicated as it kept everything clear.